Not for the first time, the Murdoch Times made a ‘throwaway remark’ into a headline ‘soundbite’. It centred on a passing reflection by David Miliband, a former foreign secretary in the Blair government, made in an interview in the Times. 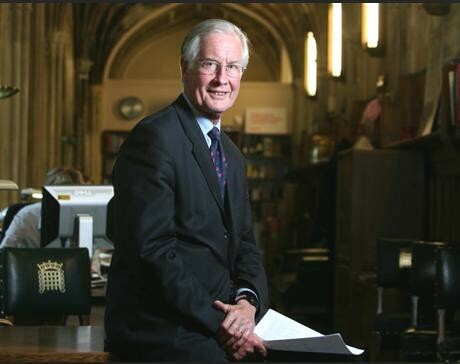 Peter Burgess asks a pertinent question: “Why on earth do you think that the likes of Murdoch preferred him and Blair rather than the likes of Benn or Major? Of course the establishment and in particular people like Murdoch want Miliband Snr as Labour leader, just as they wanted Blair rather than Foot or a Tory like Major. They knew how to control him”. Miliband said that the Labour party is now weaker than in the 1980s and must face up to the “historic nature” of the challenge ahead. Hem Laljee refers to this as “the fallout from the New Labour. Its founder is still loitering in our midst and giving advice. New Labour was the different garb of the Conservative The working class have been left rudderless which reflected in their votes for the Brexit”. Another comment was that the political-corporate-media establishment must secretly think that Corbyn has quite a good chance of electoral success, despite their rhetoric, because they are spending so much time and devoting such great efforts to discredit him and his supporters. Tony Blair has announced plans to set up a new centre-ground institute to combat the “new populism of left and right”. This new body would provide answers to anti-business and anti-immigrant views which share a “closed-minded approach to globalisation”. In a characteristically self-congratulatory statement published on his website, he said his new not-for-profit organisation would deliver policies based on evidence rather than the “plague” of social media abuse. It would be a response to the political shocks of the last year, such as Brexit and the election of Donald Trump to the US presidency. It aims to support practising politicians – such worthies as John Mann, Jess Philips, Simon Danczuk and those former colleagues still waving the New Labour flag? What could be more extremist than Blair’s deadly collusion in that country’s destruction? 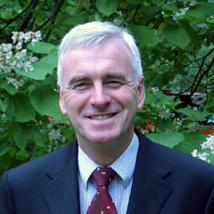 Are Times’ journalists ignorant of John McDonnell’s work and cross-party alliances, economical with the truth, or under orders? And though his versatility is shown in his inspiring and wide-ranging book, ‘Another World is Possible: a manifesto for 21st century socialism’, a challenge to New Labour, putting forward a set of attractive new ideas, principles and policies, his most sustained work has been directed towards peace-building – and without peace there can be no real prosperity for the 99%. The APPG provides a forum for dialogue between Parliamentarians, Her Majesty’s Government and civil society on alternative methods of preventing and resolving violent conflict, on the basis of expert information and opinion from across the political spectrum, in dialogue with officials from the Department for International Development, the Foreign and Commonwealth Office and the Ministry of Defence, as well as various conflict NGOs, academics, members of the business community and the media. The Group currently consists of twenty named members from both Houses of Parliament. Others in the new Parliament who express support or interest will be added to this list. Under Corbyn the haves will have a little less and the have nots will have a little hope writes author Steve Beauchampé, in the Birmingham Press article summarised below. 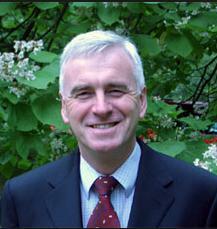 He voices the thoughts of so many: “I did not vote for Labour in the 2015 General Election. I have not voted for the party since before Tony Blair and his New Labour ideologues ascended to power in the mid-1990s. 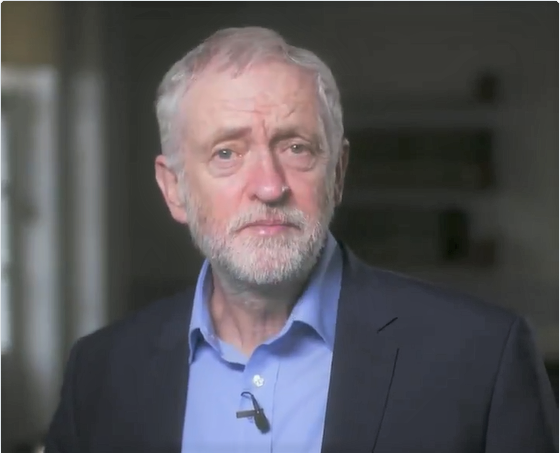 But should Jeremy Corbyn win the current leadership contest and lead the party into the 2020 General Election, it is quite possible that I will give Labour my vote”. Again, voicing the reasoning of so many, Steve will ‘quite possibly’ give his vote because he is “in broad agreement with many of his policies and am sympathetic to the kind of society that he aims to create”. “The society Corbyn envisages differs vastly to that produced by the ultra free market economy so loved by George Osborne and many luminaries of the New Labour era, an always and ever open for business society where everything has its price, but nothing is valued, money is power and the vulnerable are scorned”. “Although he is committed to policies designed to narrow Britain’s increasing wealth gap, and to ensure that the poorest and most vulnerable are not scapegoated for the results of a banking crisis and subsequent recession for which they were not responsible, he is supportive of those businesses who behave responsibly to their employees, customers and the environment whilst also being cognisant of their impact upon wider society”. Steve comments that in most western democracies (Ed: especially Scandinavian) most proposals in Corbyn’s programme would be regarded as routine social democracy. Only in the context of a political centre ground that has travelled inexorably to the right for much of the last 35 years, and particularly since 2010, are they viewed as extreme. and creating an investment bank to stimulate investment and growth. There’s much more – the scrapping of Trident, Britain’s independent nuclear deterrent, a substantial increase in the number of ‘affordable’ homes being built (at the expense of ones property speculators can afford), including those by local authorities, opposition to fracking and the creation of an elected second chamber to replace the House of Lords. 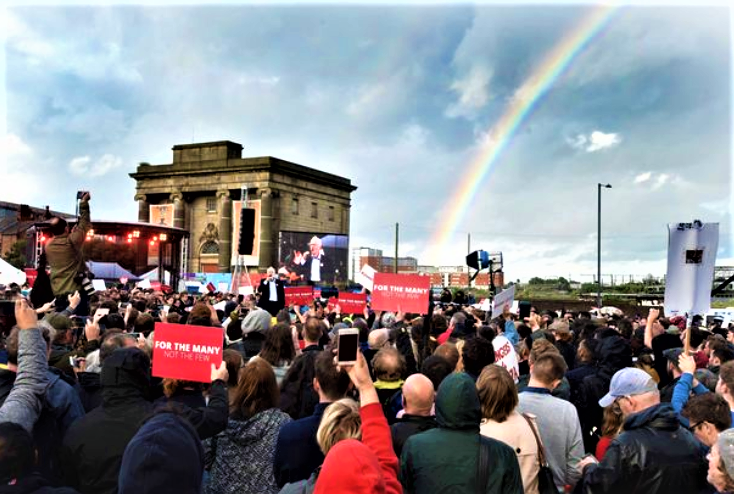 Corbyn’s agenda for devolution includes a loosening of Treasury controls over Local Enterprise Partnerships, a re-balancing of transport policy away from the South East and opposition to the imposition of metro-Mayors without approval via a local referendum. “This broad sweep of policies gives lie to the myth that a Jeremy Corbyn-led administration offers nothing more than a return to the politics of the 1980s, that he would make Labour the party of protest, permanently in opposition. On the contrary, many of his ideas offer forward thinking answers to contemporary issues. For sure he proposes to finally right certain ideologically driven decisions that were taken under Thatcher and Blair, but so he should, these were wrong then and are still wrong today”. 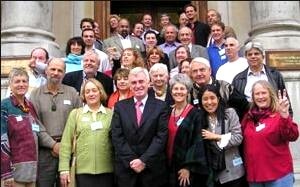 Moving away from the New Labour era, an always and ever open for business society where everything has its price, but nothing is valued, money is power and the vulnerable are scorned: “As former Labour Prime Minister Gordon Brown has said, the Labour Party needs a leader who is radical, credible and electable, someone who gives hope. That would be Jeremy Corbyn then”. “Let me make it absolutely clear that Labour under Jeremy Corbyn is committed to eliminating the deficit and creating an economy in which we live within our means . . . (but) we don’t believe that the vast majority of middle and low-income earners who didn’t cause the economic crisis should have to pay for it through cuts in tax credits, pay freezes, and cuts in essential services. and by investing in the housing and infrastructure a modern country needs to get people back to work in good jobs. “We accept that cuts in public spending will help eliminate the deficit, but our cuts won’t be to the middle-and low-income earners and certainly not to the poor. and to employers exploiting workers with low wages and leaving the rest of us to pick up the tab. “All the factors that caused the 2007-8 crisis are currently reappearing on the scene – frozen or low incomes, low productivity, asset inflation especially in housing, a hands-off government turning a blind eye to loose credit expansion and City speculation, and a growing debt bubble. “Just like 2007 all it needs is a spark like Northern Rock to set things off again. The rehypothecation taking place in the bond markets could be the trigger this time, when the US starts unwinding its quantitative easing programme”. and the introduction of a financial transactions tax to fund the rebalancing of our economy towards production and manufacturing. “Public ownership does have an important role to play, but this will be through smart forms of 21st-century common ownership and control. For example, rail will be renationalised, but with a form of joint management involving workers and passenger representatives. Energy would be socialised from below by the massive expansion of renewable energy production and supply by local communities, local authorities and co-ops on the successful German model, removing the monopoly of the big six energy companies. “Politicians have patronised and talked down to us all when it comes to our economy, but ordinary working people have to manage on incomes significantly lower than the likes of George Osborne and his friends in the City. They could teach the bankers and many commentators a thing or two about managing a budget responsibly. Given the opportunity, we will use the sound common sense of our people.